This FREE Vocabulary Writing Book provides a fun and engaging way for students to develop sentence writing skills. Each page has a vocabulary word or phrase, a picture, and space to write a sentence using the word. There are 5 vocabulary words in the book. Students could complete one page per day, and have a whole book at the end of the week. A set of vocabulary word cards is also included. 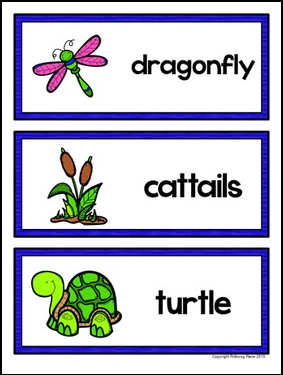 They can be used on a word wall or in a pocket chart. The vocabulary cards are in both color and black & white. Vocabulary Writing Books can be used for journals, morning work, centers, early finisher activities, homework, and more!